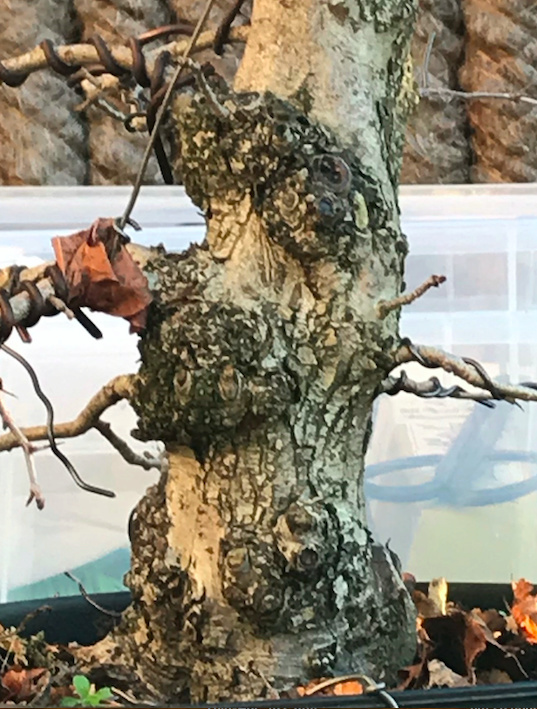 I always thought the bumps on the trunk of my Crataegus (added pic below) where a sign of age and never thought of it further. Also because new shoots were growing from these spots. 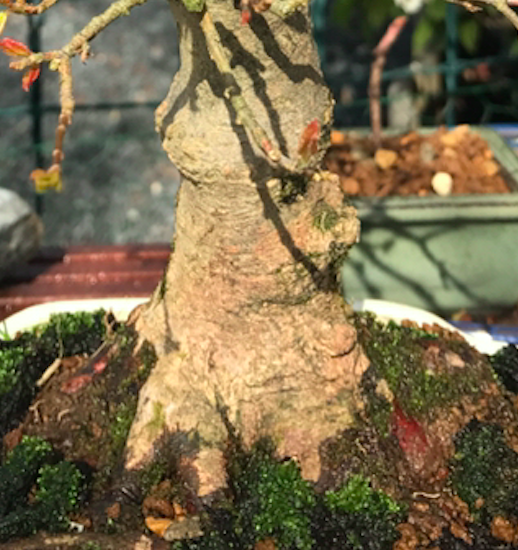 But since I found something strange in the roots of my Malus earlier and discovered it is (most likely) Crown gall, I try to pay close attention to my bonsai and their health. After some searching I found some pictures of what is called Gall. Could anyone help me identify if the bumps are Gall, or maybe something else? Could it be similar to the crown gall I found on my Malus. I use the same tools on my trees so maybe I have been spreading it to my other bonsai. I have something seemlier at the base of a Prairie Fire crabapple that I have had for 8 yrs. Last week I toke picture of the growth and am having the pictures' looked at by the plant disease department at the Chicago Botanic Garden. When I get any information back from them I will pass it along to you. The growths on the hawthorn & maple look like natural burls ("bur" or "burr" in UK English) seen on full-sized forest trees. The multiple growths that occur randomly on the hawthorn add particularly well to elevating its atmosphere as an aged and weathered tree. Thanks for sharing! Hello all, thank you for the answers!